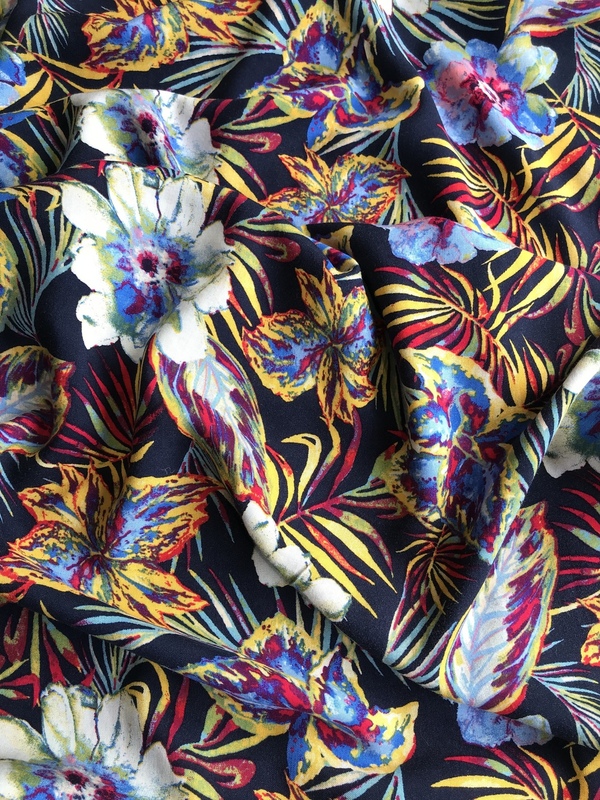 Introducing Vacation Vibes Woven Viscose! 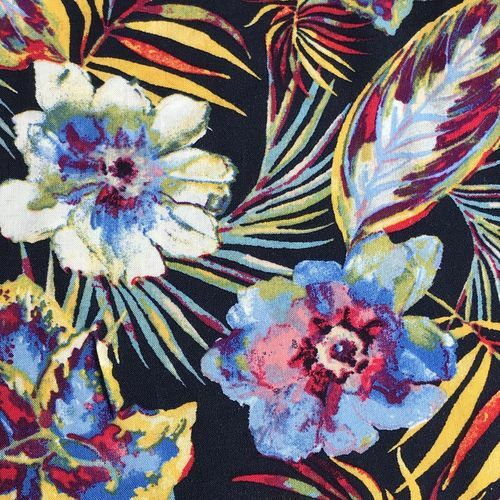 Blue and White Flowers on a Navy Blue Background. 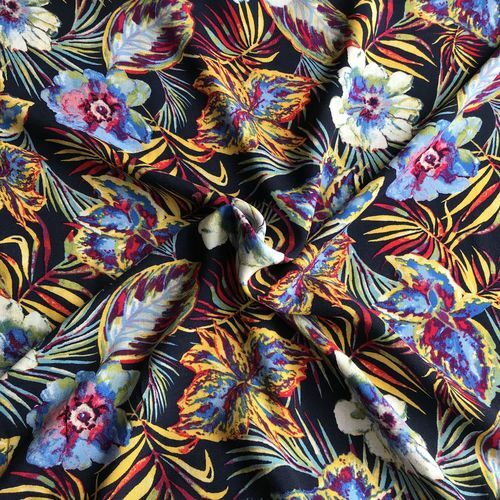 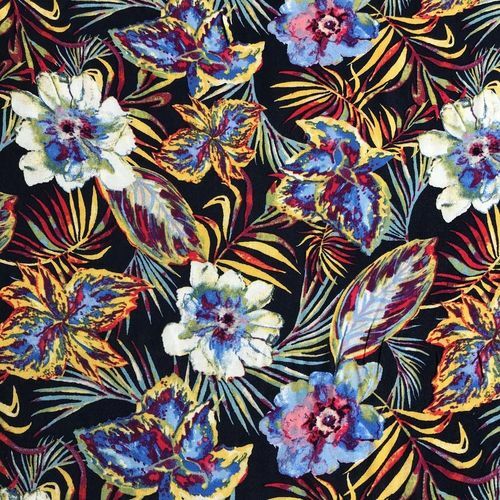 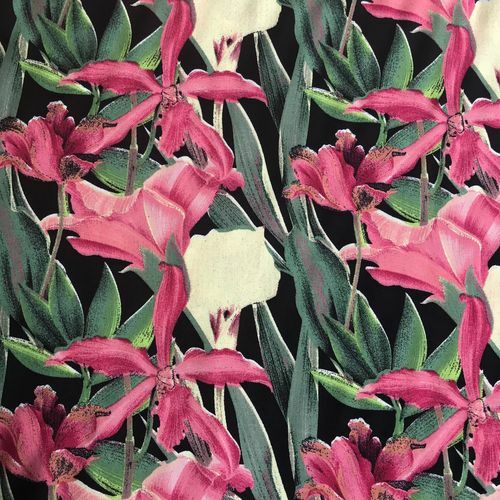 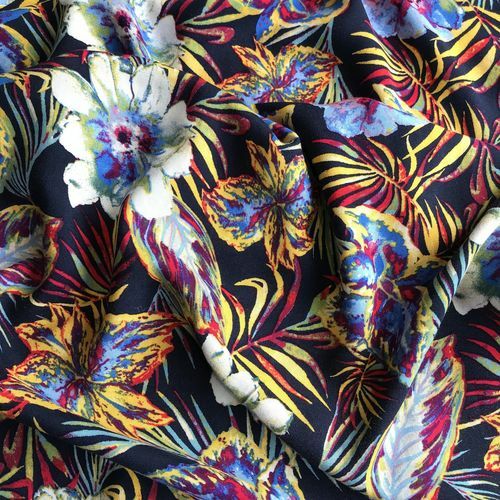 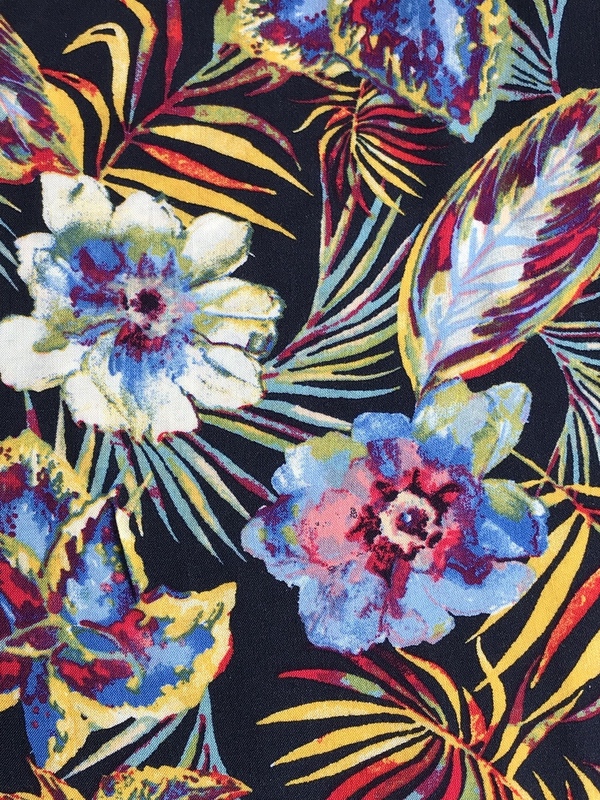 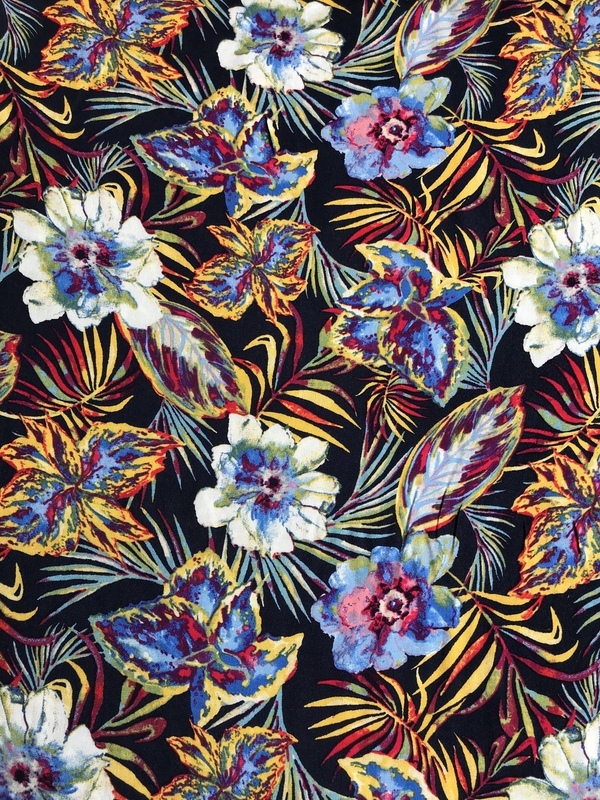 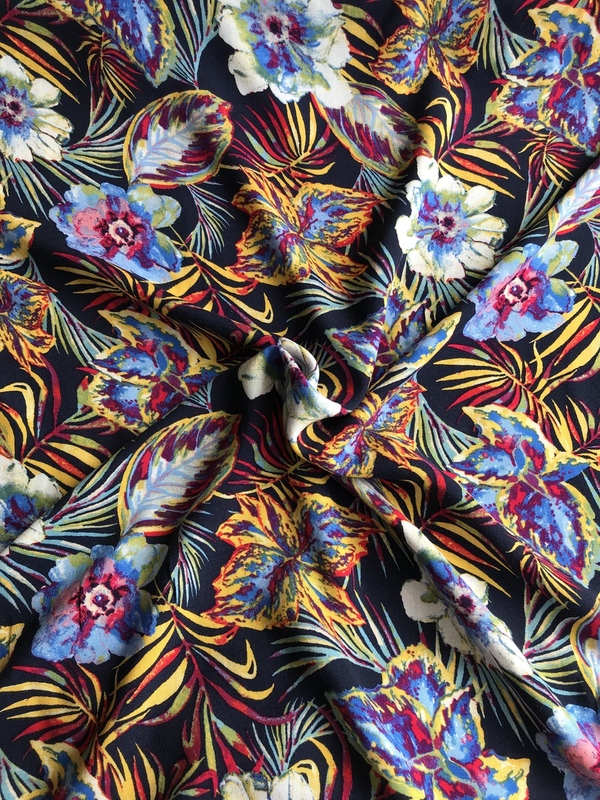 This vibrant fabric takes your mind away to far away exotic places. 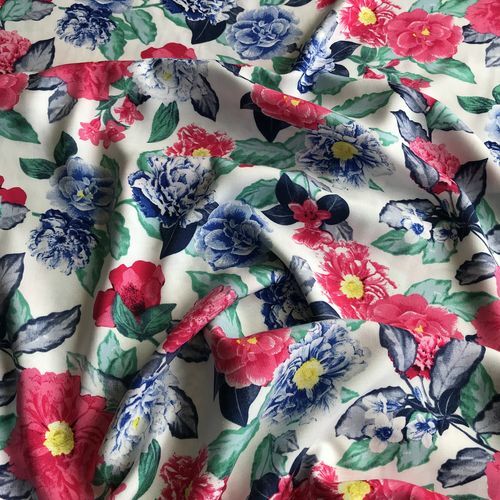 It is ideal for sewing dresses, tops, skirts and trousers and Jumpsuits and Kimonos. 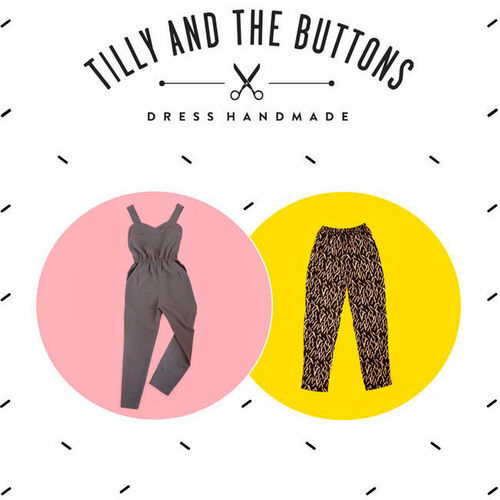 I think this would make a beautiful Tilly And The Buttons Marigold Jumpsuit!